Out of the Park Baseball 16 is the new version of the award-winning baseball game that GameSpot called «the best baseball management sim out there.» The game offers unparalleled flexibility in creating your own baseball world. 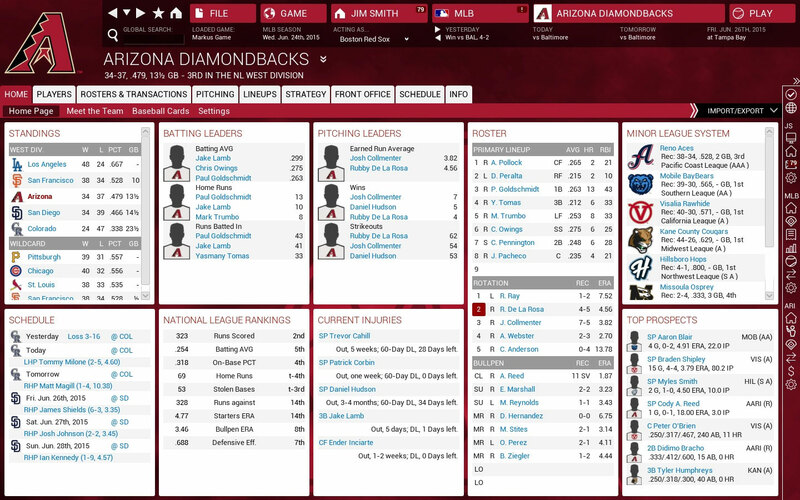 Play solo with a baseball world of your own creation: make a simple, 8-team league, play a typical Major League Baseball game with real 2015 rosters including full minor leagues, create a historical MLB game with real players from any year between 1871 and 2014 or build an enormous world with baseball leagues in multiple countries. For the ultimate challenge, join an online league and test your mettle against other human players! Out of the Park Baseball 16 is the closest most people can get to being the general manager of a real baseball team. Handle GM tasks like drafts, trades, scouting, waivers, team finances and personnel. Negotiate player contracts. 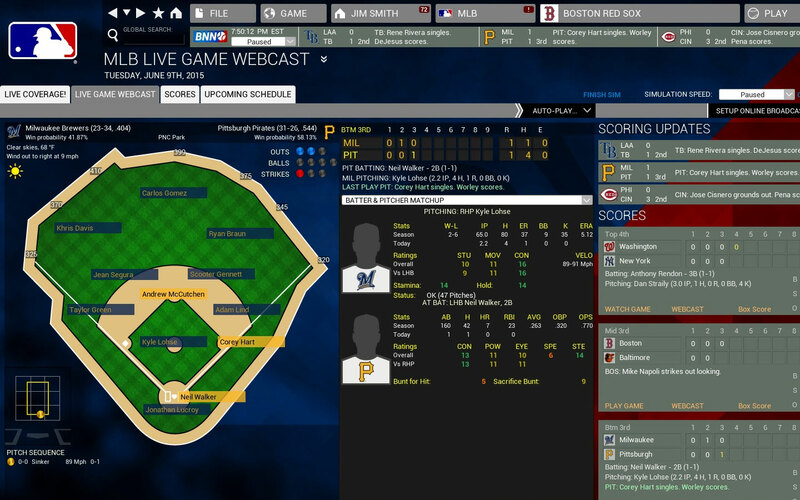 Or, dive into the more hands-on management and set your team’s lineups, pitching staffs, and in-game strategy. 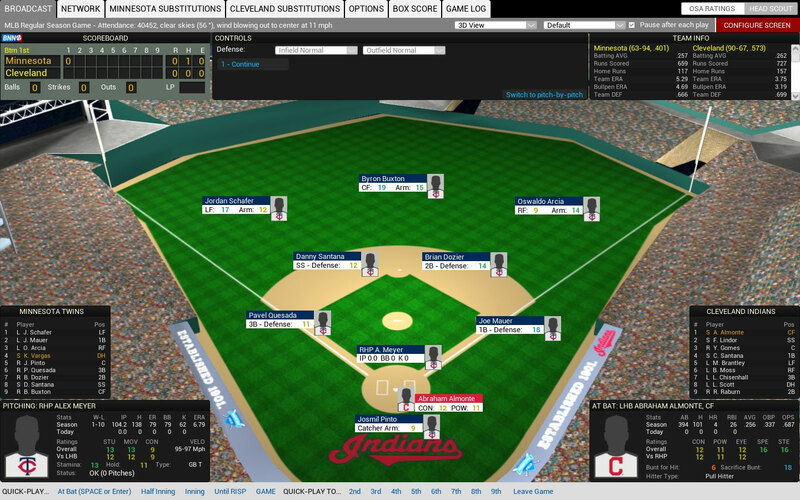 You can oversee your league at a high level, or play out each game, managing pitch by pitch. OOTP players progress realistically over time. Try to build a team through the draft, or try to sign big free agents to put you over the top!